The video provides a historical prospective of a day in the life of the bridge tender at a Palm Beach County bridge that spans the Intracoastal Waterway in Jupiter on State Road 707. The 707 Bridge is known by locals as the Cato Bridge in remembrance of Avon Cato who tended the bridge in the 1930s when it was a swing bridge. Carr used interviews of Cato family members and the current bridge tender to tell a story of how the bridge tender’s daily life has changed over the years. Carr was also nominated in the category for children/youth/teens programs for producing “Get in the Zone,” a Palm Beach County Criminal Justice Commission program that provides viewers with a look inside Youth Empowerment Centers. These facilities provide positive alternative environments to help deter youth violence. Carr received the award from the Suncoast Chapter of the National Academy of Television Arts and Sciences on Dec. 6, 2008 at a ceremony held at Rosen Shingle Creek in Orlando, Florida. 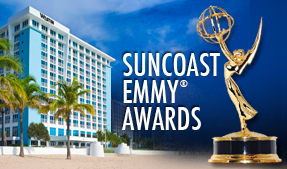 This is the first Emmy Award for the County’s PBCTV Channel 20. The video can be viewed on Channel 20’s Web site by visiting http://www.co.palm-beach.fl.us/publicaffairs/channel_20.htm.